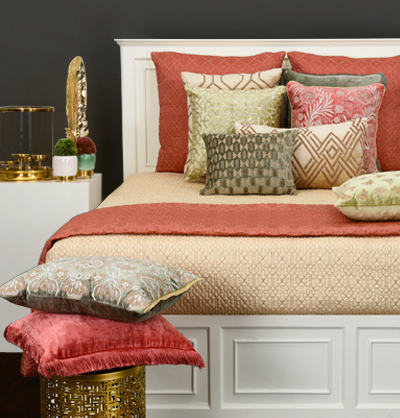 Gilded luxury meets an interesting Moroccan vibe - a new take on an old classic. This stylish lynchpin, flaunts an undeniable design embellished with minute metallic chips along. An absolute, must-have for your home, this state of the art cushion with a light grey background dishes out sheer artwork. With such a visually striking aesthetic, this cushion deserves to be the centerpiece of an attention-grabbing cluster of contrasting cushions from Address Home.